Assassin's Creed - Why no boats? Where is Black Flag 2? — GamingWithSwag.com - Dads By Day, Gamers By Night. I need bigger ship that carries more rum. Black Friday deals had Assassin's Creed Syndicate dropping as low as 35 dollars so soon after release that it was tempting. The commercials with "London Calling" were decent and battling on top of a carriage has its appeal, but I can't imagine playing one of these games without being a pirate and having my own ship anymore. 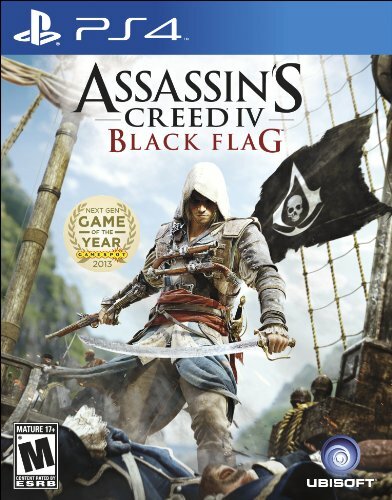 Black Flag was the pinnacle of the series and the features added in that game were amazing and I felt that the franchise needed to split into the Pirate series and the era jumping main series. I guess it doesn't have to stay Pirates and just needs to be naval, it could be a Columbus/Magellan esque exploration adventure. It could jump over to Europe and have some more intense Naval battles with the world powers vying for land in North Africa. The history of the world has lots of drama from that period and they should be mining it for everything it is worth. Or maybe flip the heroes and be a Pirate Hunter who fights to keep the seas safe for merchants and travelers. If Assassin's Creed doesn't return to this formula I think there is an opening for another game to scratch the same itch and maybe dive deeper literally with more undersea diving for treasure, more varied dangerous fishing and harpooning, and more complex ship to ship combat. In early 2014 there were rumors about a Black Flag sequel but nothing has been released in nearly 2 years to validate those rumors. Black Flag can not be a one-off adventure, there is so much more meat on the bone and I want to know that we are coming back to the High Seas and soon. Pitch Session - G.I.Joe as a squad based action game.